Bijli Mahadev Temple, as the name suggests is the temple of Lord Shiva, where almost every year lightning strike the Shiva Linga and breaks into pieces. Then the priest of the temple rejoins the pieces of Lingam with the help of butter and other adhesive. 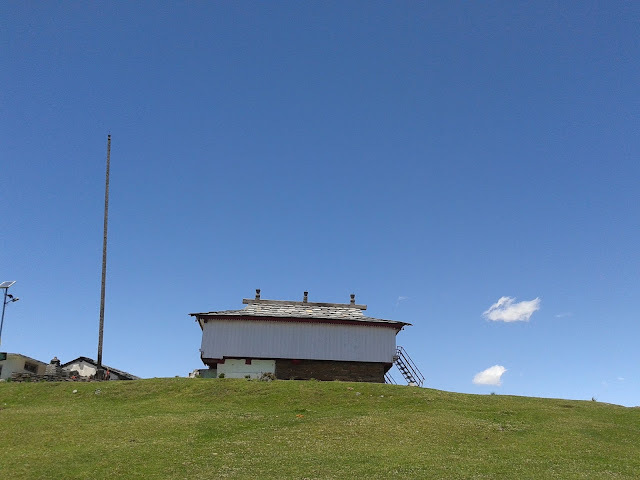 The place where temple is situated is called Mathana (7874 ft.). The beautiful temple is surrounded by lush green meadows. 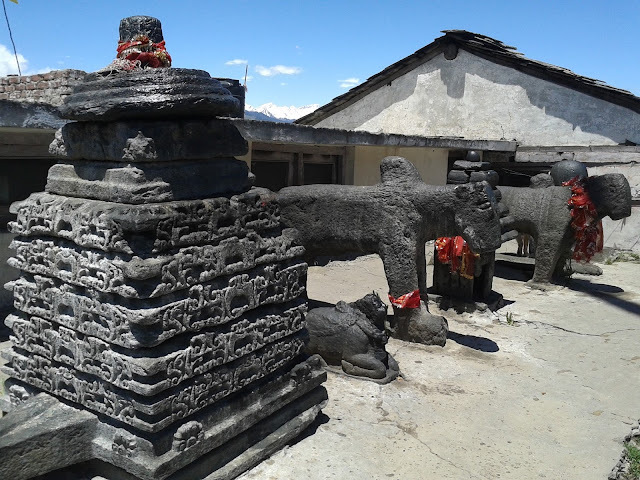 The statue and idol near temple are also the main attraction of tourist who came here from all across the world. And in the month of Saawan (one of the Hindu month) people offers ghee, butter and milk to these idols and worship Lord Shiva. 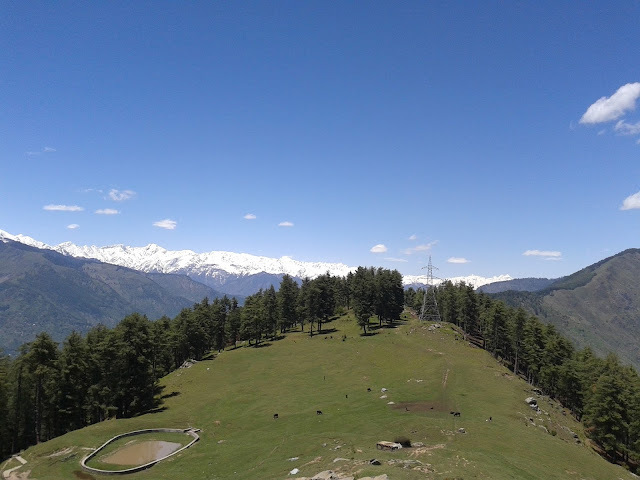 Panoramic view of Manaikaran, Kullu and Lug Valley from temple catches lots of eyes. Temple is easily approachable from Kullu. 14km of motor able road from Kullu to Chansari Village and from Chansari 2km trek in shadow of tall pine trees. And one who cannot trek can come from Naggar to Bijli Mahadev road via Janna Waterfall.